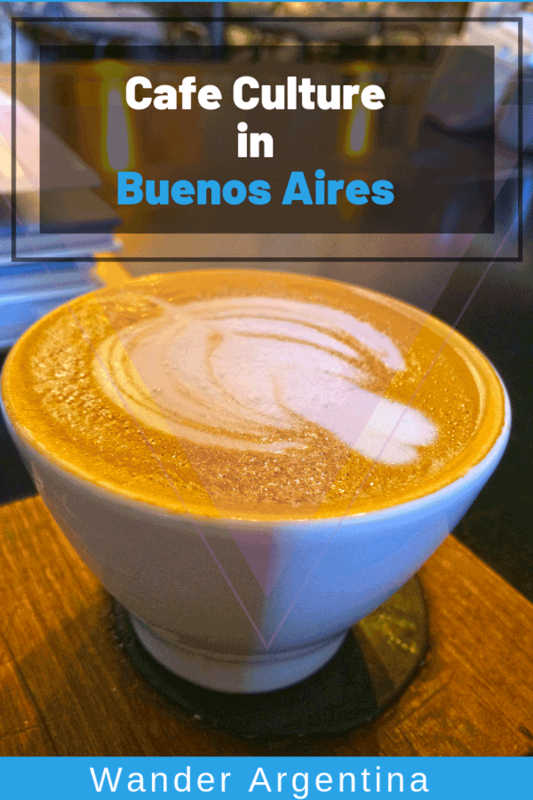 In order to get a feel for the soul of Buenos Aires, it’s necessary to sample a variety of Buenos Aires cafe-eateries for a taste of Porteño life. The café-bar restaurants you see on just about every city block are communal affairs meant for long hours of lingering and conversation. In the mornings sleepy-looking suits will stop by on the way to work for the obligatory coffee with medialunas (sweet crescent rolls) while having a gander at the daily newspaper and people continue to wander in throughout the day for a caffeine fix or quick snack. 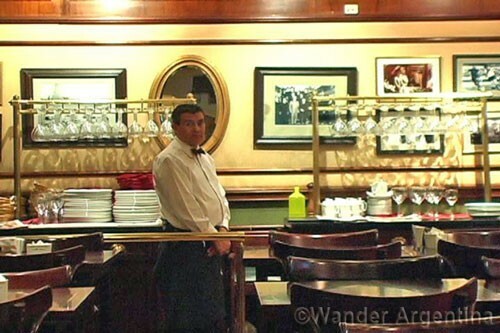 In the late afternoons you can see an interesting snapshot of Argentinean life in the city’s cafés. Merienda, or afternoon tea time, brings in groups of well-dressed gossipy seniors, young couples unafraid to express their affection for each other in public, middle-aged, possibly clandestine couples (often, disturbingly willing to show their affection in public), and the same suits who were there in the morning, back for another hit. Grandmothers enjoy a tea and toasted sandwich with their teenage grand-kids — a testament to the strength of family in Argentina, and something that you would rarely see in a lot of other countries. If you walk past a café and see that everybody is staring up at the corner of the room and yelling, they are probably showing a national fútbol match on one of the omnipresent TV screens. 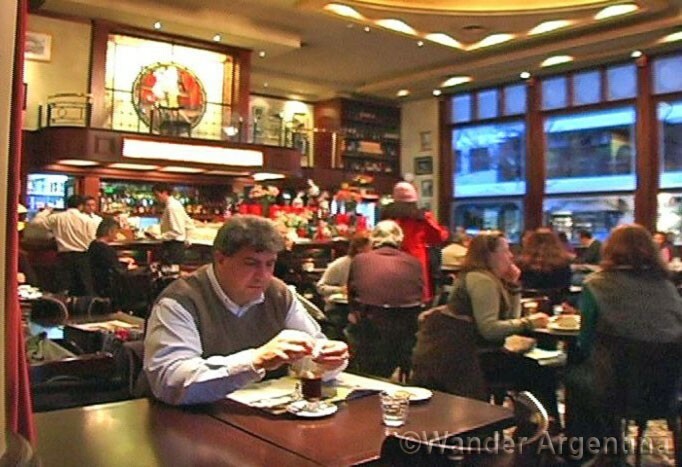 Although some well-known cafés are popular for lunch and dinner, it’s best to go elsewhere for a satisfying meal. 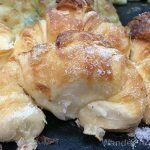 The typical café menu is virtually identical everywhere in Argentina with milanesas (breaded cutlets), empanadas (savory pastries), sandwiches, several staple pasta dishes and a range of typical Argentine desserts.